Motortrend.com: 1970 ROVER 3.5 LITRE COUPE CLASSIC DRIVE. Not a recent article, but this crops-up quite regularly when I’m searching the web, so I finally thought I should share this here. The quality of the photography, in particular, makes this article worth linking to – it’s not often you see professional photos of a P5 or P5B. What makes the article all the more interesting is that this P5B is located in the U.S. Rover didn’t have a great deal of sales success there with the P5 – it was too expensive compared to American cars of the period. 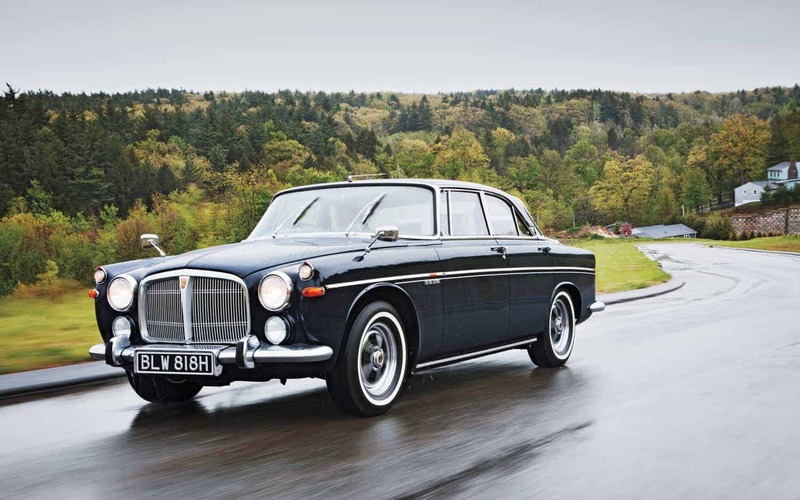 It was also somewhat ‘under-engined’ in 3-litre straight-six P5 guise when compared to local competition. Strangely, the P5B was never exported to the US, even though the V8 engine would have been much more suited to the North American market. It seems the Rover Motor Company of North America were focused on the more modern P6. I would assume the anticipated sales volume for the P5B, combined with it’s planned short life, meant that meeting U.S. legislation just wasn’t deemed worth the effort.